Innovators around the world appreciate the euphoria associated with 3D printing as they explore a new realm of infinite possibilities. Unfortunately, this awesome new world is also full of tiny little floating particles that may be hazardous to humans. 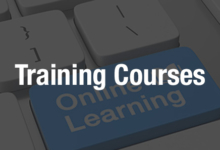 Are we ready to become as educated about the health concerns as we are about learning how to operate exciting new software, hardware, and use associated materials? Experts around the world certainly hope so as they share further research regarding what effects 3D printing emissions may have on our bodies. Recently, UL Chemical Safety announced the publishing of ‘Standard Method for Testing and Assessing Particle and Chemical Emissions from 3D Printers.’ The study outlines ways to avoid health risks due to indoor pollution via both particles and volatile chemicals created while 3D printing—and follows up on last year’s work also centered around indoor air quality. Four different studies were involved in the culmination of UL’s latest release, to include “Characterization of particle emissions from consumer fused deposition modeling 3D printers” and “Investigating particle emissions and aerosol dynamics from a consumer fused deposition modeling 3D printer with a lognormal moment aerosol model, both of which articles were published in Aerosol Science and Technology. “ANSI/CAN/UL 2904 will advance the availability of low emission printers and print media for use in the global marketplace. UL is proud to offer its first safety Standard addressing chemical pollution and reducing its impact on human health,” said Phil Piqueira, VP of Standards for UL. Users should be aware that they could be exposed to invisible toxins known as ultrafine particles (UFPs) which may have negative effects on the lungs when inhaled. The research shows that there may be over 200 different types of harmful compounds capable of affecting 3D printing users adversely. Other hardware and material factors figure in too, such as types of 3D printers and attached nozzles, along with temperature settings, materials and material colors, and more. Not surprisingly, filaments are thought to be the most serious culprit in releasing harmful emissions—and with little information available to users regarding potential harm. “The new Standard allows manufacturers and users of 3D printers to have the assurance that printers have been tested and shown to meet low emission criteria for small particles and volatile chemicals that can affect human heath,” says Dr. Marilyn Black, VP and Senior Technical Advisor for UL. The topic of health concerns in connection with 3D printing is not exactly new, with worries bandied about almost as soon as the technology infiltrated the mainstream; after all, nothing can be that much fun without having to worry about the fine print—or the fine particles—too. We have also followed studies on the hazards of 3D printing from University of Texas researchers, along with safety measures in metal 3D printing from UL AMCC, and RMIT University in Australia. Be familiar with the issues surrounding possible hazards, and 3D print with care! Download the latest from UL Chemical safety here. 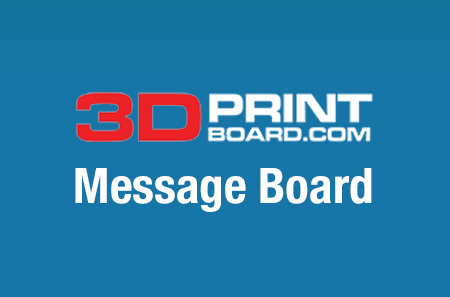 Let us know your thoughts on this news too, as you join the discussion at 3DPrintBoard.com.